We covered an amazing amount of territory and topics during the show and the information moved very fast. Many listeners like to “re-listen” to the show and take notes in order to glean as much information as possible. The feedback was so outstanding there may even present itself an opportunity for another program to continue the discussion. That is providing “all heck” doesn’t break loose in the next couple weeks. You can also learn more about how to “download” and access past radio shows by going to the Radio Show page HERE. The unfortunate truth of the matter is our Bible has been pillaged by the forces of darnkess. Just as every reasonable sized church today has a Brotherhood of Satan member on the Board of Directors, you can bet the “get thee behind me Satan” problem affected the canon process. I personally believe it was far more sinister than that, particularly because the Roman Catholic Inquisition sought to destroy and slaughter any group of apostolic “good Christians” that Baptised people in the Holy Spirit by the “laying on of hands” and label them as “gnostics”. Nevermind “The Knights Templar” and the secret “locked” Vatican Library. And what a horrible success the Inquisition was. 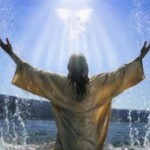 Indeed the Baptism of the Holy Spirit was all but eliminated through the dark ages. The Reformation of the Church, led by Martin Luther, resulted in unfortunate offshoots that still had forgotten the “Forgotten God” (The Holy Spirit). I recommend you consider reading Francis Chans books “Crazy Love” and “The Forgotten God“. 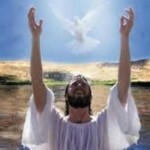 However God continued to outpour the Baptism of the Holy Spirit sporadically over the years. It wasn’t until the Azuza Street Revival, that a HUGE outpouring of the Holy Spirit actually made the major newpapers across the United States. People like Smith Wigglesworth, traveled in horse and buggy across the country JUST to receive the Baptism of the Holy Spirit. John G. Lake started the most amazing divine healing ministry to ever exist, as a result of this amazing outpouring. And the list goes on and on. Nevertheless, even with the pillaging of our Holy Scripture, and the removal of divinely inpsired text now sadly labeled as “apocrypha” and “pseudoepigrapha”, we continue to uncover the mysteries of the Bible little by little. As the scripture says, even in our own 66 book canon of today, “all things will be revealed”. Amen to that. Nor is this intended to be an exhaustive explanation with tons of citations and supporting scripture from various texts. 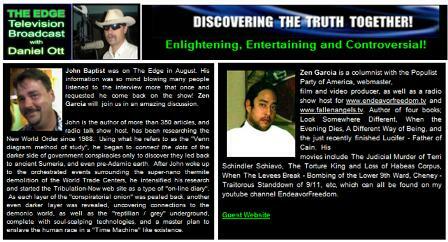 Zen Garcia is currently completing his 6th Book entitled “Sons of God – Who We Are, Why We Are Here“. You can get in touch with him by going to his web site www.fallenangels.tv. However after each radio show, I continue to get questions sent from various folks with questions about matters of the “Heavenly Office of God” and how this stuff all “went down”. I covered much of these concepts in prior articles entitled, “Sons, Souls, Elohim and Angels“, “Intergalactic God“, and “The Heavenly Office of God“. Evidently this topic is SO POPULAR (as well it should be because we are Royalty in the Universe of beings), that the questions continue to flow in. So here below is a “high level summary” of what LIKELY happened millions of years ago that led humanity to the current “redemption process” we are undergoing at this time. In order for us to be “restored” to our “first estate”, we must strive to become righteous and holy. Otherwise our Heavenly Father cannot restore us back to our previous level of power in the Universe. We have to “prove ourselves” worthy. 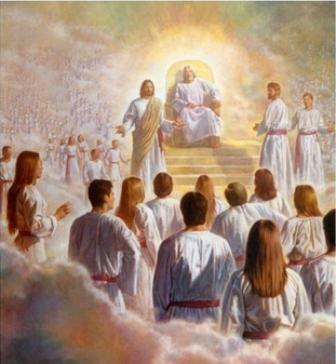 It’s not JUST about being “saved” … its about INHERITING the Kingdom of Heaven and getting a position of authority back. This is why we are PREDESTINED “ELECT” of God. This is why God “knew us in the womb”. Millions of years ago the Universe was normal. Trillions of life forms existed. Civilizations of beings (peoples and creatures) existed all over the galaxy. God’s creations of amazing beauty abounded everywhere. God’s angels (Sons of God Messengers) of many different varieties, would roam in fleets throughout the galaxies “seeding” the Universe (planting the heavens Isaiah 51:16). The “Sons of God” (all different types of creations, including Cherubim leaders, Seraphim organizers, and Ophanim angels as well as “creator god angelics” (which are a type of angel that “creates things” in the Universe for God and by God with the power of the Holy Spirit given to them “by God“) were “seeding” planets across all the star systems. They would create plants, fishes of the sea, and various life forms. These “Sons of God” (angelics or beings created DIRECTLY by God (YHWH or Ya va El, the God of gods / El Elyon or “The Most High God“) are, to this day, “Royalty” in the Universe. They “help” civilizations on other planets. They “seed life”. This planet is not not the only “earth like” planet out there. The angels of God (angelics) continue to go to other planets and do what God instructs them to do and help those civilizations “get along”. Interesting choice of words here. The scripture could have easily said “one end of earth to the other” but it didn’t. God is incapable of lying. You see “God’s elect” are scattered all over the heavens. We are not the only “pebbles on the beach”. God’s angelic beings, guided and empowered by the Holy Spirit (as WE should be in our daily walk), are fighting angel wars RIGHT NOW. The ridiculous Pleiadians are NOT the ones disabling war-heads on ICBM and shutting down nuclear missile silos in my opinion. They have no reason to do so since they are obviously “in bed” with the Military Extraterrestrial Industrial Complex. (see “The Dulce Book” here). Lucifer was one of the head guys. A covering Cherub. He was the “top dog” along side Jesus Christ in the heavens. But of course only a minor god in comparison to our King of Kings. Indeed Lucifer himself was a type of “Son of God”. Millions of years ago, when the earth (planet earth) was being “seeded” (planted) wth life forms, the “creator gods” working on behalf of the Heavenly Office of God, were “seeding” the earth (Genesis One). They helped our Heavenly Father, “create” the fishes of the sea, the plant life, and all the beauty here on earth. They also created “man and woman” like creatures on earth. The said “Let US create them in OUR image”. And indeed they did. These man and woman creatures were pre-adamic man. But they did not have the “Living Soul” (spirit) of God directly breathed into them, like Adam did in Genesis 2:7. 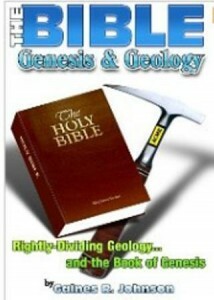 Genesis One is HIGHLY METAPHORICAL and includes references to “prior earth ages”. This is why Genesis One never mentions “Living Soul” (if you have a proper translation that hasn’t been monkeyed with). 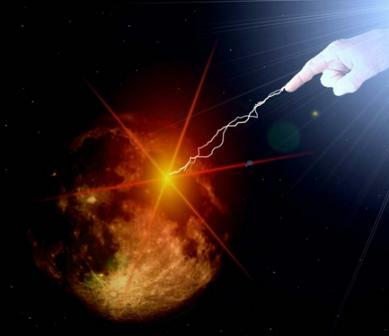 This term is not used until Genesis 2:7 when “Adam” was created by “Lord God YHWH Elohim” our Heavenly Father “directly“. Remember any being that is created DIRECTLY by GOD for the Heavenly Office of God, is a Son of God and is ROYALTY in the Universe (by definition). This makes them (us) part of the Royal Family of beings in the Universe. Somewhere along this “multi-age” timeline of creation events, Lucifer stepped out of line and started to have the “creator gods” make creations in which God did not approve. Dinosaurs and other abominations resulted. The unwitting “creator gods” were working for Lucifer at the time, who had taken temporary control of the “Morning Star” office of God. 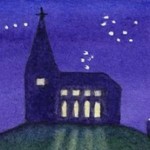 When the “back office” of God, (possibly located in the Star System of Arcturus (?)) got wind of what was happening on earth (e.g. Lucifer playing God), they reported this to our Father. Michael was sent out with legions of “warrior angels” to put a stop to Lucifer and his hundreds of thousands of “creator god” angelics. Lucifer, who was admired by his team of “creator gods” angelics, rallied his team and fought back. There were wars in the heavens (Rev 12:7). 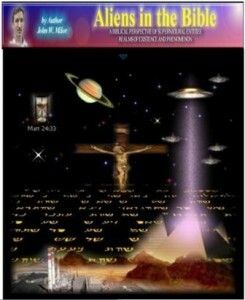 These are known as “angel wars” (or UFO wars) that happened between the “Sons of God” (angels). Lucifer and his creator god angelics, lost the war. We were on the losing side of that battle. There was a judgement upon the “angels”. 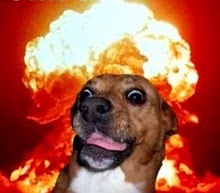 This was possibly more than 1/3 of the angels in heaven. There was a Supreme Court held in the Office of the Almighty and the Seven Spirits Supreme Court levied a “judgement”. The judgement can be found in Psalms 82. And all of you are children (sons) of the Most High. Remember Jesus reminded us who WE ARE in the Universe of beings. 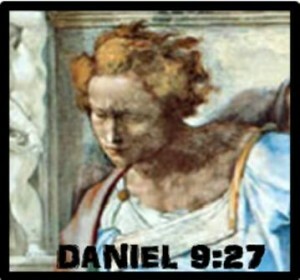 After the Supreme Court Judgement was handed down, some of the angelics and Lucifer “refused” the judgment and they were subsequently divorced from the Heavenly Office of God (cut off from the Holy Spirit and eternal life). The “good angelics” (you and me) who accepted the judgement of “Ye shall die like men” (in human form) agreed to take on “human bodies” and live the life of a mere mortal human. This began the judgement (redemption process) of the good angels that accepted the Judgement. At that point God created Adam in the East Garden, (on an earth already teaming with life and pre-admic creatures and beings) and breathed the Living Soul of God (spirit) into Him (Gen 2:7). Each of Adam’s progeny at conception (with the exception of Cain who was born of the evil one ref. 1 John 3:12), has the “living Soul” (spirit) of one of the “good judged angels” breathed inside of him or her. However as part of the Judgement, we agreed to “drink of the cup of forgetfulness“. We could not remember who we used to be (this is why the New Agers “feel” like reincarnation is true, because pre-existence witnesses to their “spirit“). 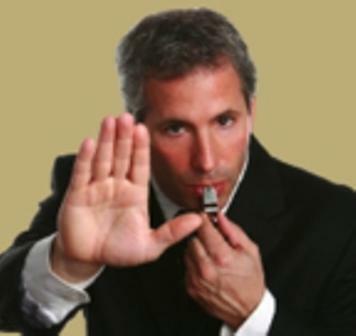 God has to “call us” and we had to hear his voice and respond (many are called, few are chosen, ref. Matthew 22:14, e.g. because they failed to respond to the “call”). The angels who refused the judgement became “fallen angels“. They refused it because they saw their chance of success, living in a “mere human form” as being “slim to none“. The figured they would take their chance with Lucifer because there was little hope in remembering who they used to be in the heavens, and instead they would fight back and try to kill off as many of “US” as possible in the next 6,000 + years. We are ultimately the “Jury members” of the “fallen angels” after this whole “God at war” paradigm is over. By killing us off they basically are killing off the members of the Jury. 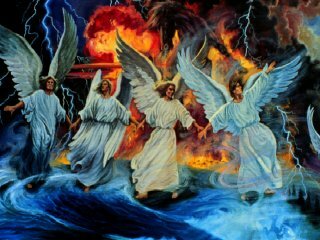 Moreover when Jesus returns with ten thousands of his saints, the “fallen angels” will be condemned. Jude 14-15 is another forcoming war in the heavens of sorts. Not only is this judgment upon those who remain here on earth, but it is upon the remaining “fallen angels“. Lucifer has “duped” his “fallen angel” beings (in the Universe) into believing that they can win this war. And yes it will be waged in “intergalactic technological transport vehicles” (UFOs). The forces of the Galactic Federation of Light and the Extraterrestrial Military Industrial Complex will fight an “all-out” battle with GOD’S angels and they will LOSE! And remember, Lucifer is “let out” one more time toward the end of the New Millennium, so we have another “boot camp” of sorts coming, before God tosses him into the Lake of Fire once and for all. Do I know if all of this is correct? Of course not. Has there been supernatural experiences in my life indicating in a HUGE way that I am correct … you bet. 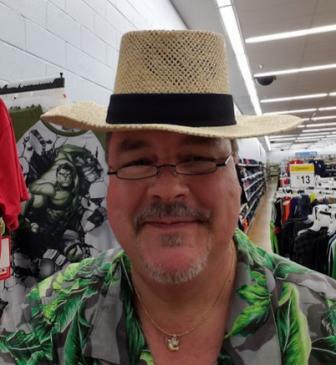 I recommend you listen to The Edge AM radio show and hear all the amazing information brother Zen brought forth during the show. Daniel Ott is a very quick witted fellow and he spent more time saying “WOW” on this show, more than any other I have heard thus far. And WOW is the operative word here. If the Lord didn’t want this information getting out to the public, then Zen and I wouldn’t have appeared on Conciencia Radio with 8 million listeners. AND the Tribulation-Now radio shows are experiencing nothing less than impressive numbers as well. Well glory to the King of Kings, Yahushua Jesus Christ our “SAVIOR”. Admittedly I feel both excited and a bit sad since it’s been so long since I’ve written an article for the Kingdom. So much has happened since the inception of the radio shows that the work is more than overwhelming. And then to top it all off, my consulting jobs are at an all time high. I will be traveling to Europe over the weekend and lose time both Saturday and Sunday. I’m hoping to do a follow-up show with Kenneth on “Ancient Aliens, Pleiadians, and the Federation of Light” this Sunday from Germany. However the radio shows have been a glorious success and we are able to get more information out in 2 hours than I can communicate in 20 articles. Praise Jesus! 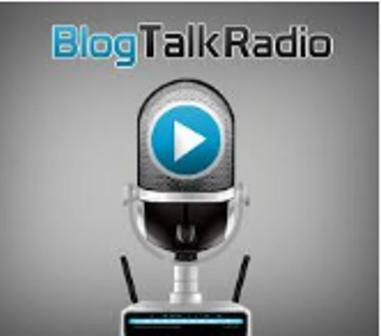 Be sure to click on the “Radio Show” page at the top of the web site to access all the shows. Sometimes it’s hard to remember everything that’s going on around us all at once. The news / alerts are coming in at a very fast pace right now. For example, while I’m typing this I just got an alert of a 6.7 magnitude earthquake in the Vancouver area. This is just one of a dozen of examples of “earthquakes in diverse places” that Jesus warned us about. There is no question we well into “the beginning of sorrows”. We are also undergoing a heightened “terror alert”. Naturally one would expect this on the tenth anniversary of the “false flag” super-nano-thermite demolition of our World Trade Centers. I was asked the question why they would bother to raise the terror threat at all if they were going to bomb us again. The simple fact is that “they” need to control the population and given the impression that “they” are in control even though “they” are the ones bombing us. Otherwise the “reptiles” fear that they will have a French-Revolution type situation unfold with armed citizens charging the capitol building. And quite frankly they just might. They have to keep the human population under control until the Sumerian “gods” arrive any day now. Oh and before I move on to the next section, it might be important to mention that someone on GLP mentioned that a relative of theirs works in the NYC Subway system. Upon returning to re-open the subways after the hurricane Irene closure, a large number of unauthorized workers were seen in the closed subway system. Evidently they refused to identify themselves. Hmmm. Even the best of us Jesus filled “doomtards” occassionally wonder how much longer we will be trapped “in the flesh” here on this “demon infested rock” … Amen? I am absolutely ready for the “redemption of this body”. As I’ve said many times, I agree with the Prophet Dr. Owuor from South Africa and time is NOW! However, I do not believe we are at the beginning of the 7 year tribulation period since Biblically there actually is NO SUCH THING. There’s Daniel’s 70th week, but we are obviously already well into it. Besides, when you add Nibiru and Elenin into the equation how can anyone deny we are about to enter the GREAT Tribulation of 1260 days or 3.5 years. Too bad Jack Van Impe and Hal Lindsey are oblivious to Nibiru. It sure would be interesting to see them “shift-gears” on their projected timelines. 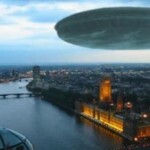 We no longer have UFO sightings, we NOW have massive UFO “fleet” sightings all over the world, every week. We have “mirage cities” appearing in China like giant holograms. New Agers are screaming about the imminent “shift” into the new dimension. And I believe they are 100% correct. There are gigantic “bubble domes” being seen across the world. One was in China, and another was filmed in Hawaii. These are TESLA SHIELDS. Look it up. Why did Stephen King write the book “Under the Dome”? This stuff is a reality and “they” are testing the forcefields for the forthcoming intergalactic war from the Dragons of Arabia spoken of in 2 Esdras 15 (from the 1611 King James). Here are some links to the “Tesla Shields” beging tested and some other information for your edification. Huge Mysterious Bubble of Light in Hawaii captured by Subaru Telescope – Caused by UFO? What are these “bubble domes”?? I haven’t had a chance to look at other videos from this person, but I have heard they are “jaw dropping”. Time for a huge wakeup call for anyone who has forgotten what’s going on around us. Oh and what these videos DON’T mention are Nibiru, FEMA Camps, FEMA coffins (which are patented as “Cremation Containers for Cadavers”), PDD 51 and all the other unbelievable stuff “they” have been staging for “The Great Tribulation”…. wow. If you haven’t read John W. Milor’s book “Aliens and the Antichrist” you have NO CLUE how awesome our God and his Heavenly Office is. 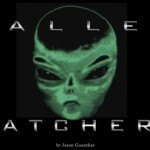 Go to http://www.aliensandtheantichrist.com and get a copy of the book as soon as possible. I had never heard of this book or John Milor prior to writing articles about such things, so this was a supernatural confirmation “of sorts” for me. It’s BRILLIANT (no Guiness required). The reason I bring this up is because this is how I believe the “rescue mission” (rapture) will unfold. Since the Bride (the woman) is taken away and “fed” (think marriage supper) for 1260 days (in Revelation 12), which is the duration of the Great Tribulation, she is OBVIOUSLY rescued right about the time that the Daniel 9:27 “alien invasion” of the “Dragons of Arabia” occurs. This may actually happen right at the opening of the Sixth Seal since this period, in essense, is the “prelude” to the “Trumpet Judgments” and 1 Thess. 5 says “God has not appointed us to wrath“. Amen? You must remember that “the woman” in Revelation 12 is a metaphor that changes its persona throughout the entire chapter staring with Eve giving birth to the Adamic bloodline. By the time you get to Rev 12:6, “the woman” has become “the Bride” of Jesus Christ. And what’s really cool is that it is CONFIRMED again a few verse later with the same symbolism and timing. A “times, time and half a time” is the same as “1260 days” or 3.5 years. This again is the duration of the Great Tribulation. Notice in both of these scriptures this “woman” (the Bride) is “fed” or “nourished” ultimately away from the evil serpent. Amen! This is because the Church of Philadelphia is delivered from the “hour of trail” which comes upon the “whole earth” to TEST those who DWELL UPON THE EARTH. Wow! So obviously Philadelphia is NOT on THE EARTH. And since God’s “angels” take on “host bodies” (of flesh … like you and me), when they interact in this dimension (Lord of Hosts? Get it? ), they need “technological transport devices” to travel through space. Amen? You bet! Otherwise the two angels that visited Lot’s house in Soddom would have just “disappeared” to escape the attackers at the door. They were trapped! Perhaps their “tricorders” were broken. Hmmm. When God’s angels (“Sons of God”) come to whisk away the Bride of Jesus Christ, they will surely do it with “technological transport devices” (UFOs okay?). Space ships. There I said it. We need to “grow up” and get out of the 1800’s and realize that these things are real, and God’s “messenger” (holy watchers) use technologies. That being said, I predict when the “Dragons of Arabia” come upon the earth in this forthcoming UFO invasion, God’s angels will “swoop in” at the speed of light and “beam up” the Bride. Glory to Jesus. They will know where we are because they can “sense” the Holy Spirit. This is no different than the Pleiadian “channeler” conjuring up their “fallen angel” buddies. But their technologies are VASTLY superior. 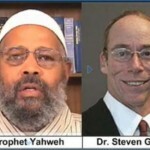 And their “intelligence” is the Holy Spirit of GOD (YHWH) which is interdimensional, “omnipotent and omnipresent”. Remember “until that which restrains, is taken out of the way”! Amen. AND the “holy children” will be taken along too. For the unbelieving husband is sanctified by the wife, and the unbelieving wife is sanctified by the husband; otherwise your children would be unclean, but now they are holy. This means that not all the children will be taken necessarily. Just a guess on my part. I suspect there will be “believers” in various churches who did not “qualify” as the Bride, that will be “left behind” (e.g. Church of Sardis, Church of Thyatira, Church of Laodicea see Rev. 2+3). However, their children are innocent of their parents unrepented sins. Therefore they are by definition, “holy” and would be taken. This is precisely why the mini-series “Falling Skies” on TNT, has the “theme” of “children” being the target of the aliens. This is “front loading” us for what they will claim happened to the children and all the other missing people. And the members of the church of Thyatira and Laodiciea, who did not take the advice of our awesome King Jesus Christ will NOT believe that it was the rapture. Many will “FALL AWAY” (2 Thess. 2) and ultimately believe the Strong Delusion (most not all). 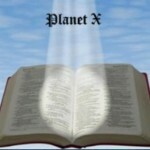 So most of “christianity” (lower case “c” intentional) will NOT believe the rapture has occurred. This means that those who did not “fall away” will be praying like crazy and wondering what happened. THEY will become the TARGET of ….. According to Stan Deyo, the Hopi Elders (those who still practice the ancient traditions) are moving underground the in the next couple weeks to protect themselves from the SUN. 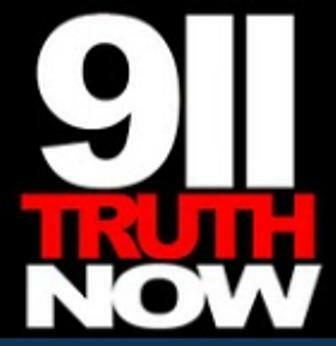 If you want to hear the audio clip of Stan Deyo’s testimony on Coast to Coast AM, then you will need to go back and listen to the last two Tribulation-Now radio shows. I recommend “at least” the last 3 shows. You also need to go back and read the last 3 articles through “The Epoch of Elenin” on this web site to get the entire timeline and picture of these events unfolding. If your willing to put in the time and listen to the shows and read the links, you will understand how this all connects together. Stan Deyo ALSO said the Pentagon is “abuzz” about the “Annunaki gods” returning. And indeed they are … you can believe that. If the Hopis are moving underground now, as he suggests, this means they are likely preparing for the FIRST TRUMPET. Solar Flare. CME. Big one. Coming soon to “planet earth”. Amen. The 2 Esdras 15 “Dragons of Arabia” are “draconian aliens”. They are horrible and viscious and will slaughter people on earth (read Joel chapter 2). You can bet on it. They hate humans and they even hate the “reptilian” entities on earth. This is a “good cop/bad cop” alien invasion unfolding and humanity (the Tribulation-Saints and unsaved) are going to be stuck in the middle of it. This is what is written on page 67 of UFOs, Aliens’ Impregnated Women, Extraterrestrials and God, by Maximillien de Lafayette. However it’s important to note there are different types of “reptilians”, this is referring to the “draconians” from the “dracos Star system“. A genetics akin to reptiles, these are highly advanced entities but viewed as being of a negative, hostile or dangerous disposition since they regard humans as a totally inferior race. They would perceive us much the way we would perceive a herd of cattle (think Goyim here). They are carnivorous in regard to humans. 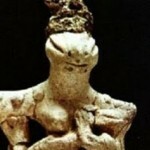 There is supposedly a “driven” planetoid or asteroid inhabited by 30 million of these lizard-folk that is to enter our solar system in the mid 90s if the present schedule is kept. 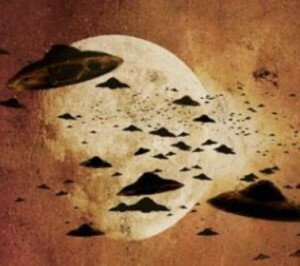 If anyone is paying attention, it is strongly believed that Elenin and it’s “entourage” is a driven planetoid of some type with accompanying space craft. Never mind Nibiru is referred to as a PRISON PLANET by the Pleiadian “channelers” who are IN FACT talking with the Pleiadians. from the “earth bound” reptilians. 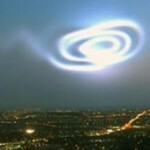 Don’t get “duped” by the “sweet influences” of the Pleiadians! Things are going to get VERY INTERESTING for those that “dwell upon the earth“. In 1910 the population of the world was in fear of Hailey’s comet. Why? Because scientists discovered that the comets tail was made up on Hydrogen Cyanide (extremely deadly). Even though the comet didn’t come close to earth at all, everyone was very concerned. Let’s see what “Wikipedia” says about HCN. HCN has a faint, bitter, burnt almond-like odor that only some people are able to detect owing to a genetic trait. The volatile compound has been used as inhalation rodenticide and human poison. Cyanide ions interfere with iron-containing respiratory enzymes. Supposedly between November the 3rd and 7th (give or take), Planet Earth will be passing through the tail of Comet Elenin, which “not so surprisingly” just happens to have a large gaseous tail of “Hydrogen Cyanide”. And a great star fell from heaven, burning like a torch, and it fell on a third of the rivers and on the springs of water. 11 The name of the star is Wormwood. A third of the waters became wormwood, and many men died from the water, because it was made bitter. And dont’ get me going on the “Locusts” in the Fifth Trumpet. Those are “mantis like” creatures with stingers on their tails. 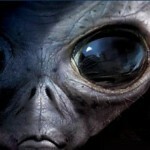 I believe they look just like the “alien” in the “Aliens Movie” with Sigourney Weaver. I’m pretty sure I’m right about that because it’s been supernaturally confirmed to me, but I don’t plan on being here. There are two reasons why a large part of the earth’s water would turn to a blood like color. 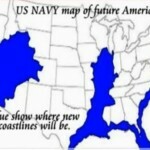 The first reason is due to a huge global earthquake like that spoken of in Revelation 6:12. When a huge earthquake happens, iron ore is released from the earth’s strata and floats to the top of the water. 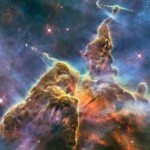 The Mayans also predicted a huge global earthquake prior to their “new men of knowledge” (star gods) returning to earth. The second reason is NIBIRU. In the ancient Egyptian texts, Nibiru causes a red cloud of dust to fall upon the earth. The darn thing has been here before. It has a 3600 year period. So we have the facts nailed down in the ancient writings. Even Noah had seen the earth had tilted and new destruction was near. You see, we’ve been ROBBED. Not only was a large portion of the KJV erroneously interpretted, but the pagans tore out tons of legitimate scripture. Noah saw a POLE SHIFT. I truly feel bad that I haven’t had the time to crank out more articles. I sincerely hope you take the time to listen to the Radio Shows. There is so much more information put out on those radio shows than I could ever type in articles here on Tribulation-Now. Time is short and it sure looks like we might be “evacuated” at any moment. THE DAY OF THE LORD DRAWETH NIGH! !